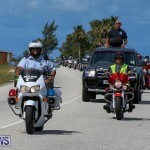 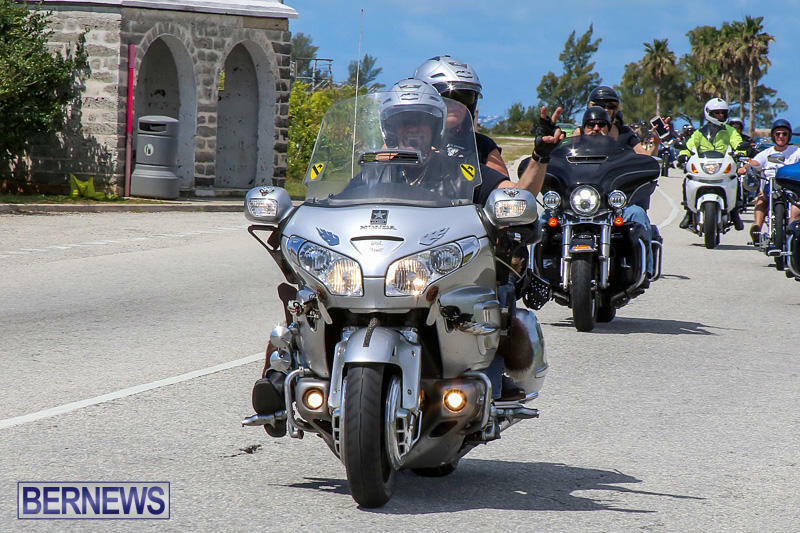 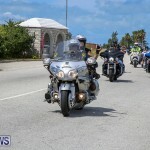 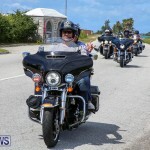 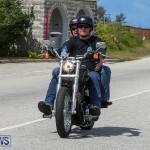 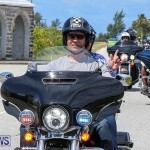 After ten years of travelling to Bermuda on board different cruise ships and according to President of ETA Motorcycle Cruises Steve Wallach, over three thousand bikes making the journey, another group including Police Officers from Essex County, landed on our shores today [May 11] for a two day visit. 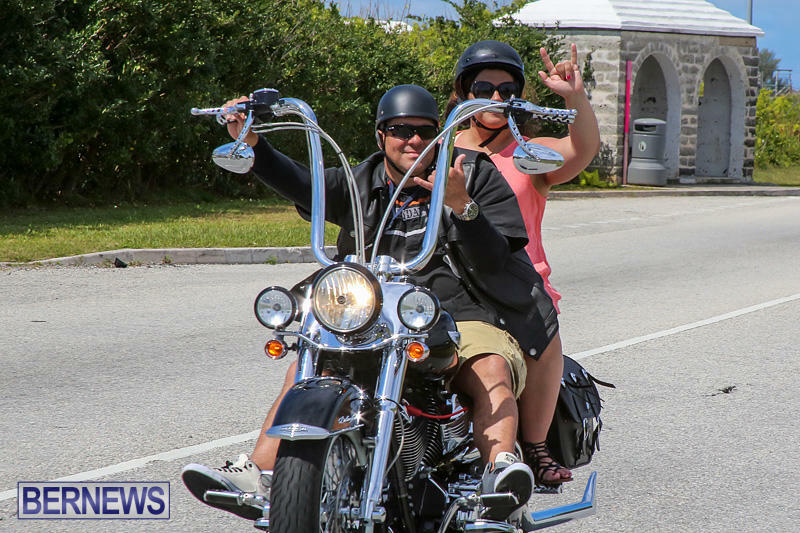 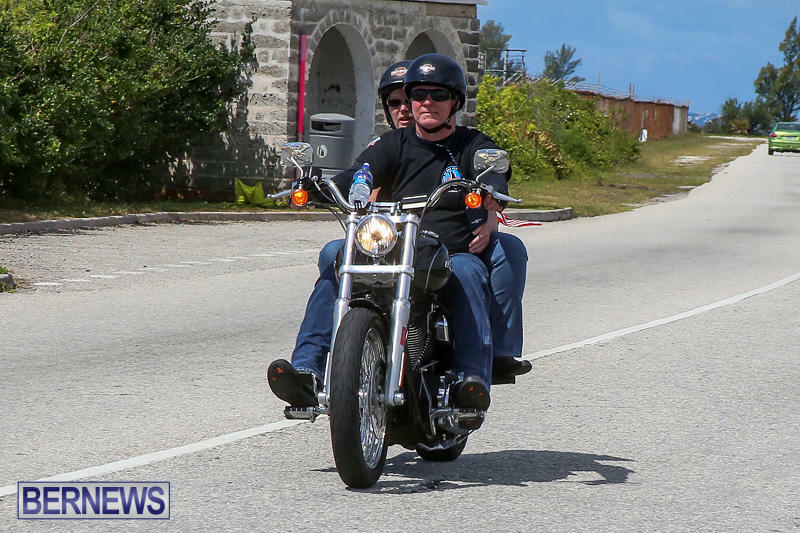 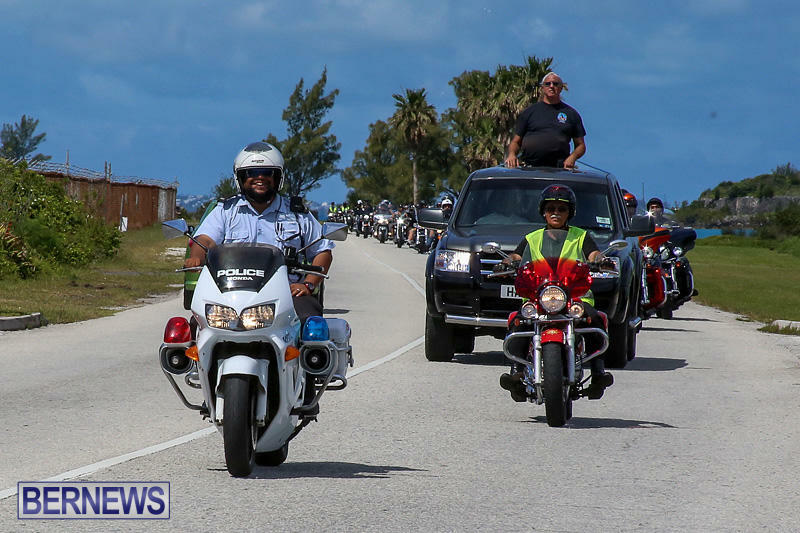 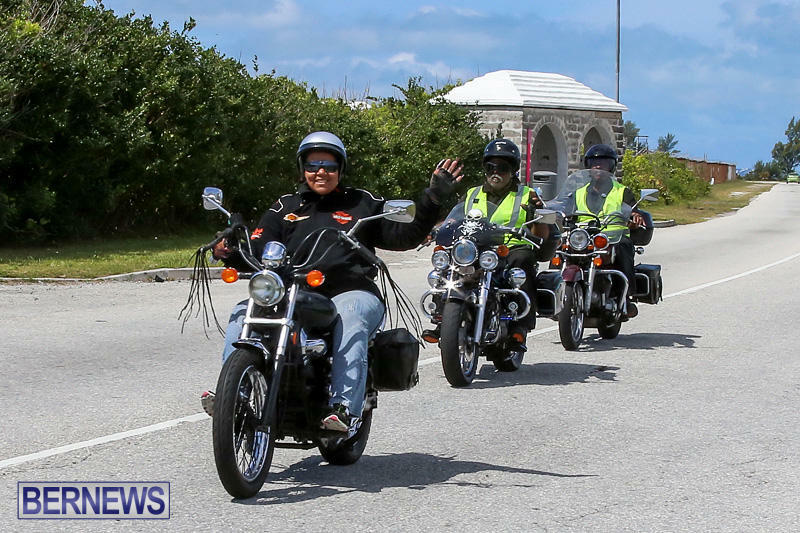 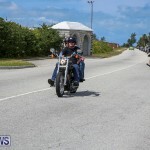 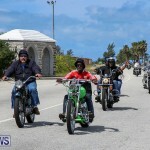 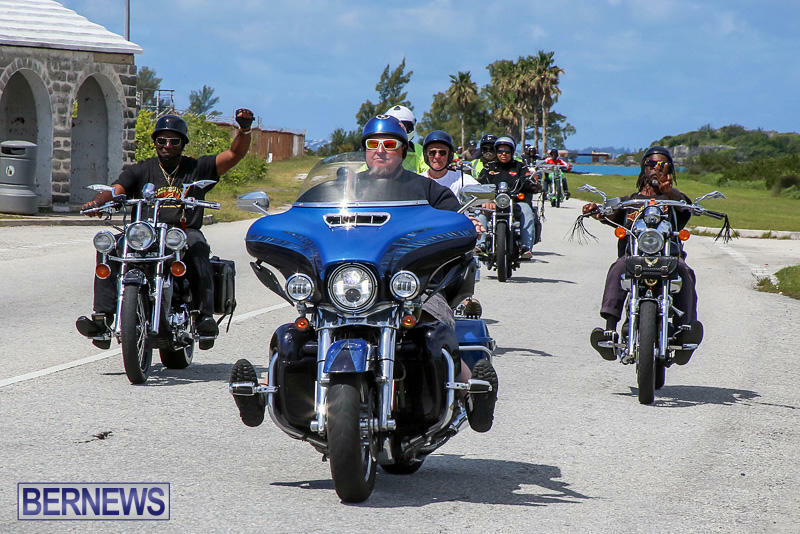 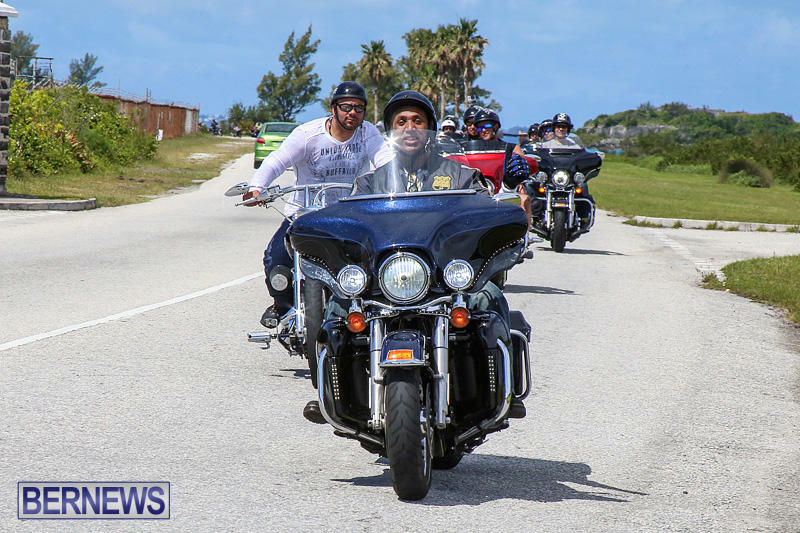 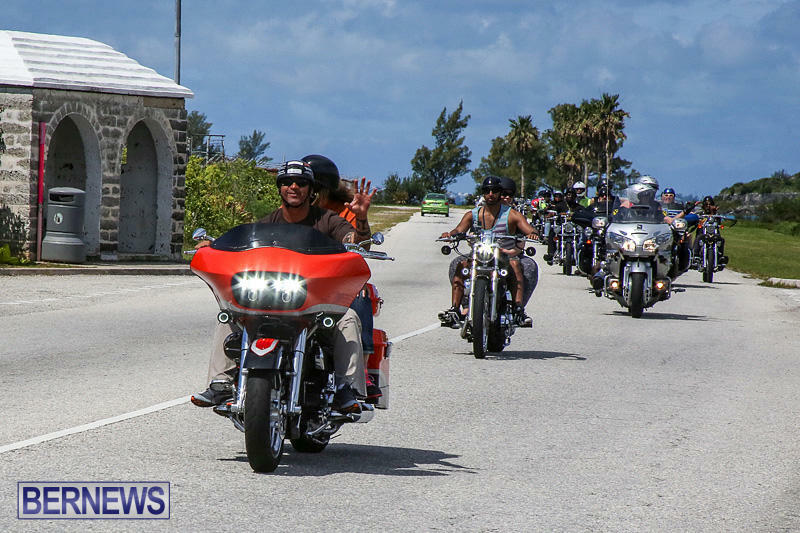 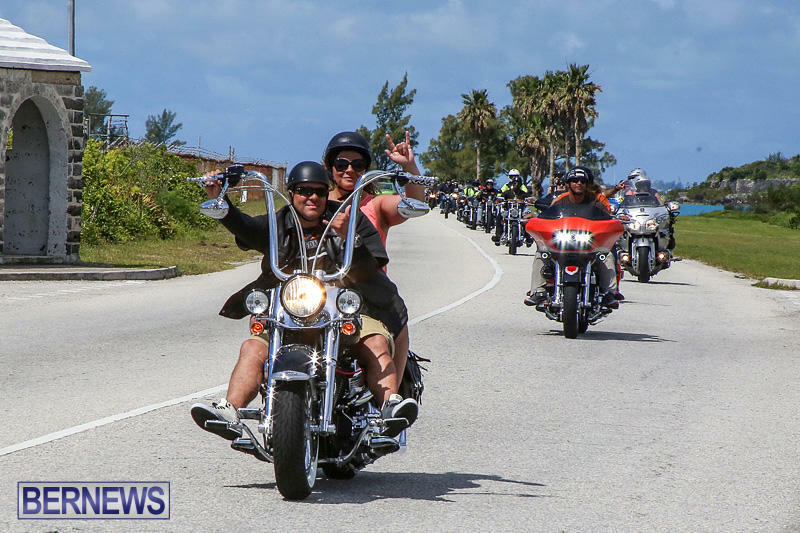 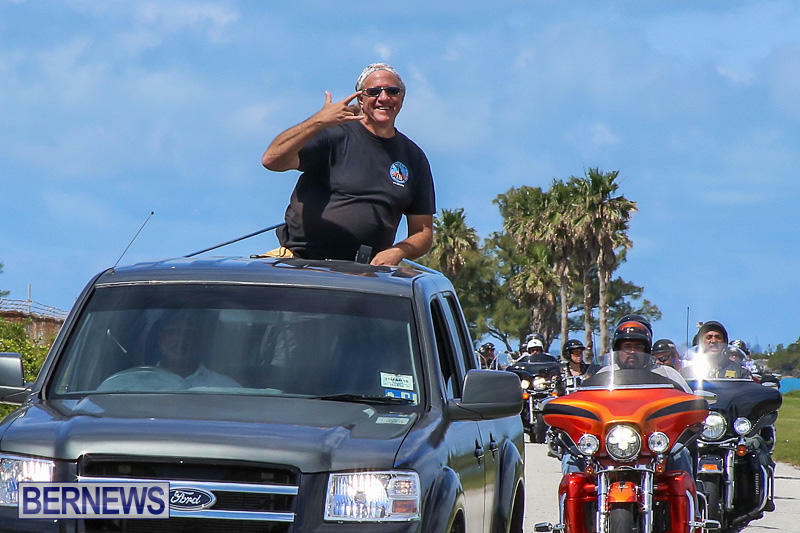 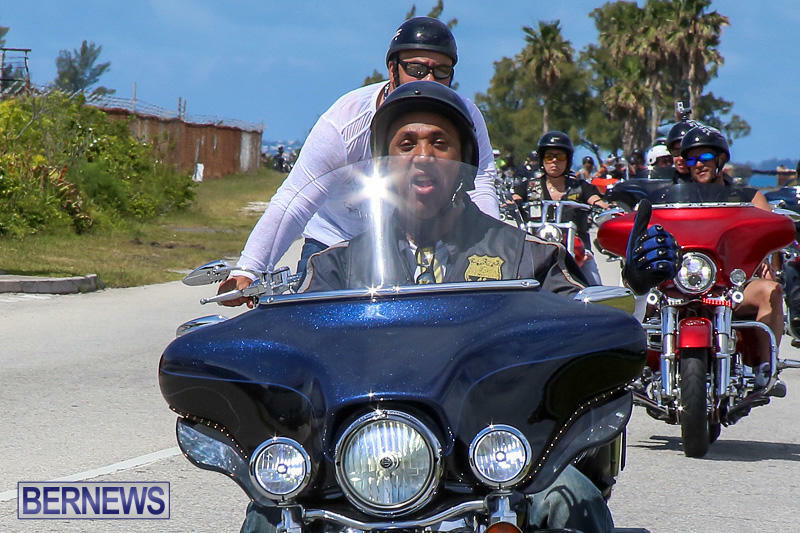 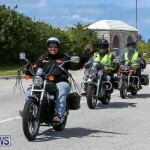 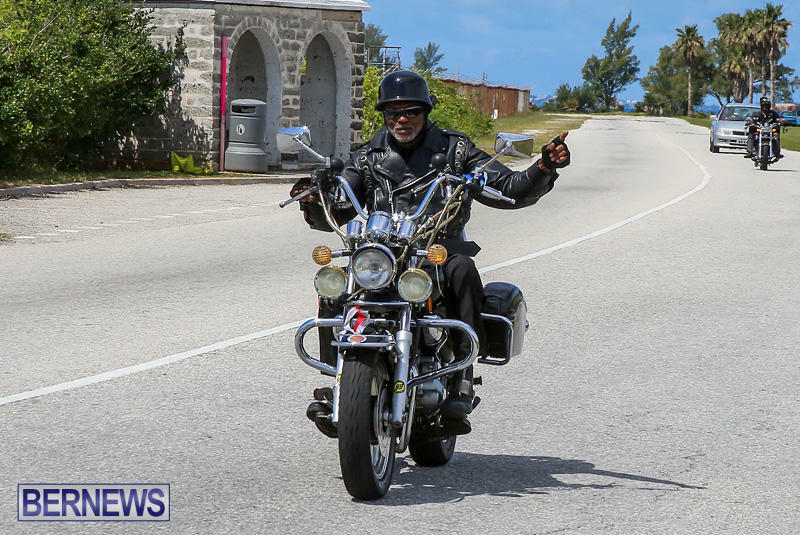 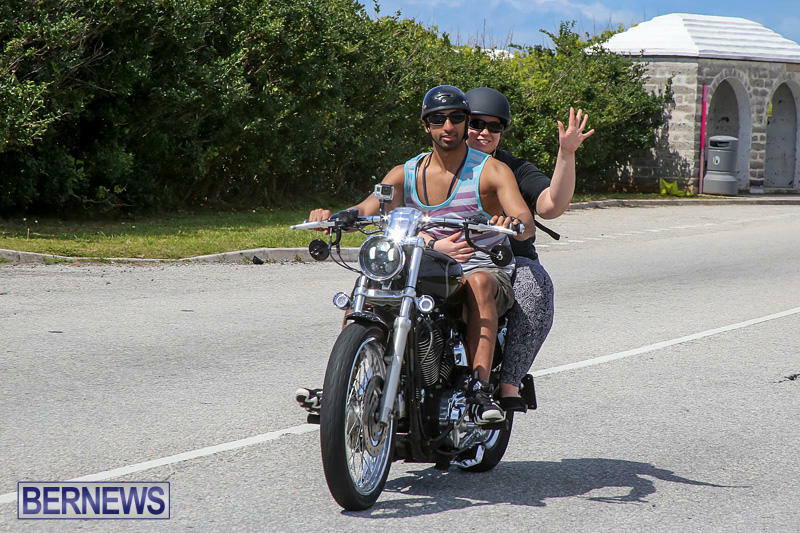 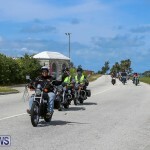 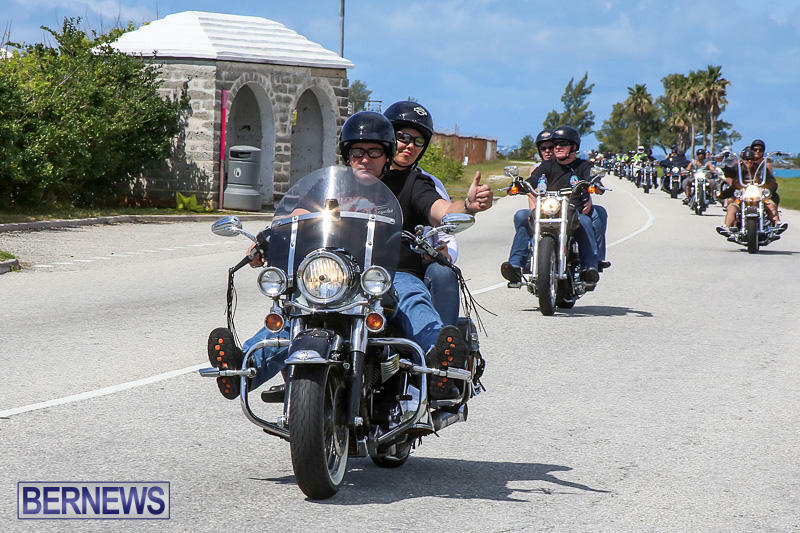 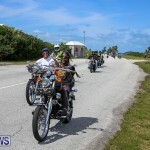 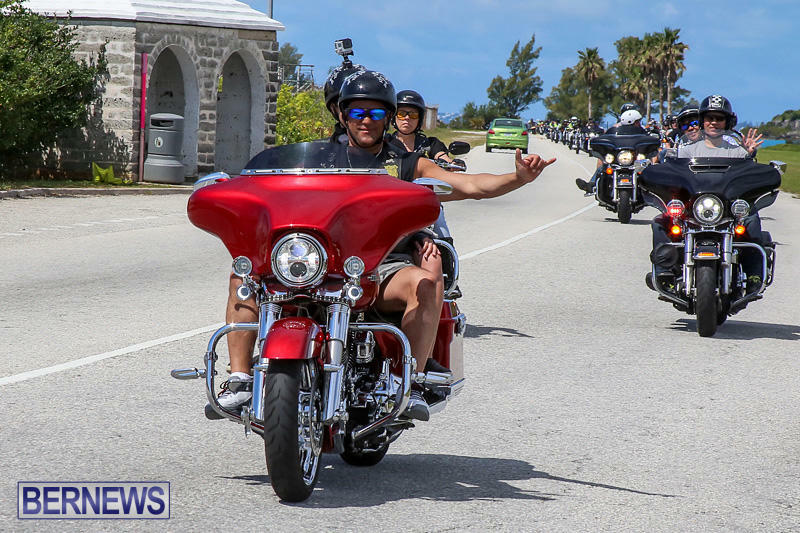 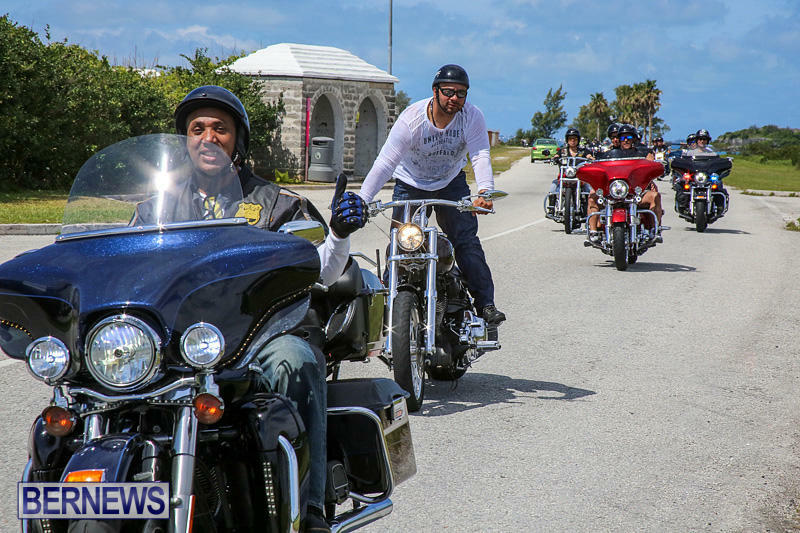 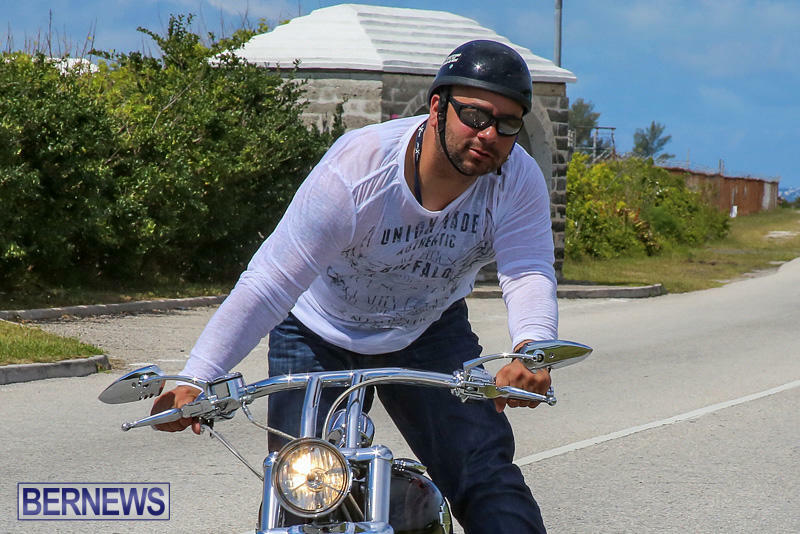 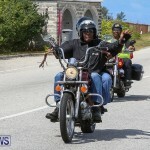 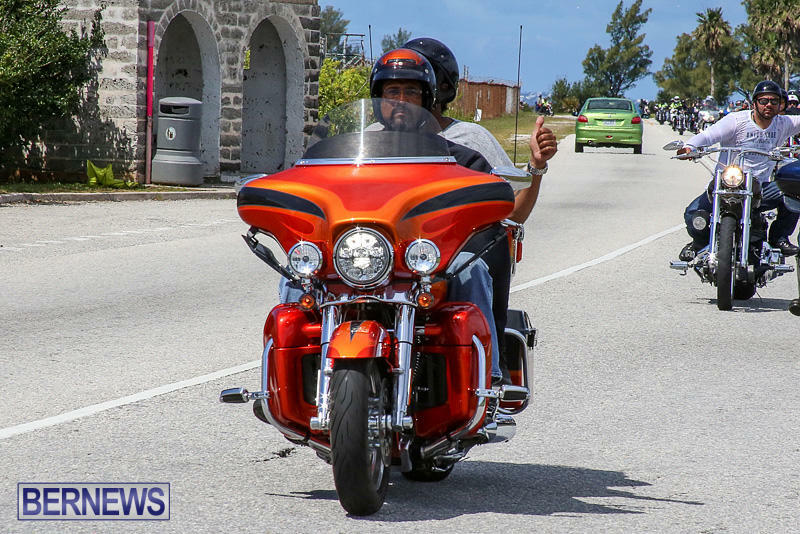 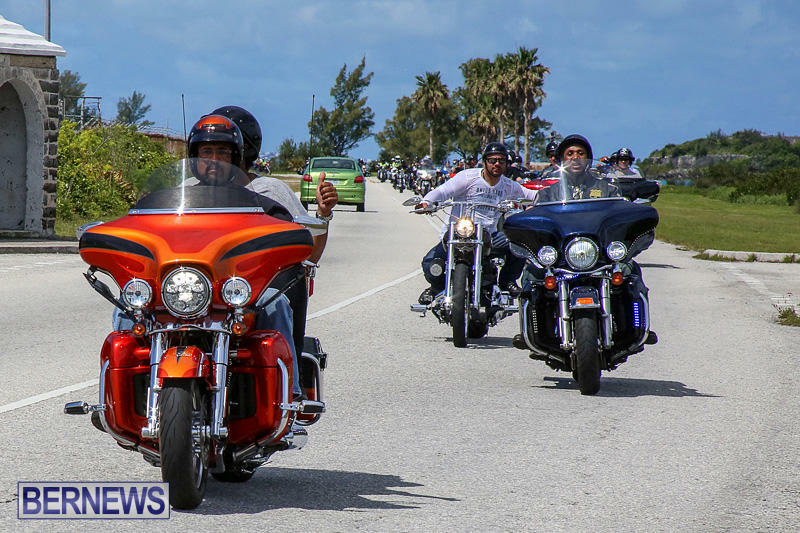 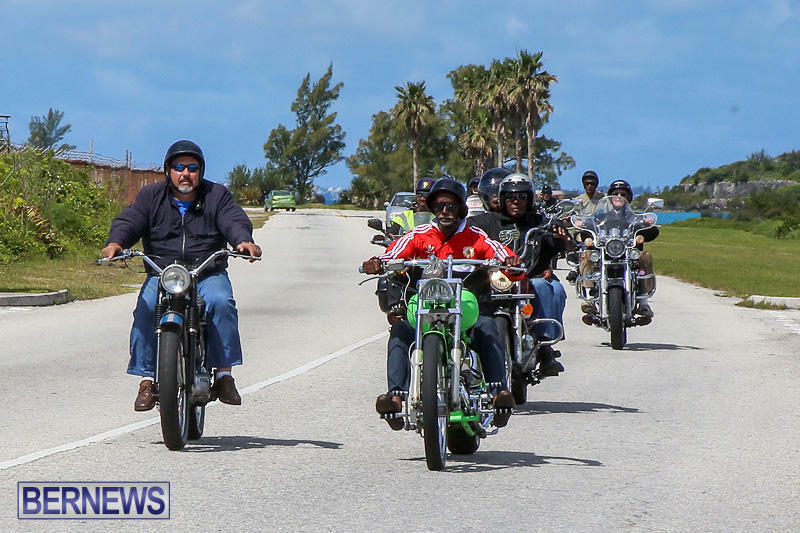 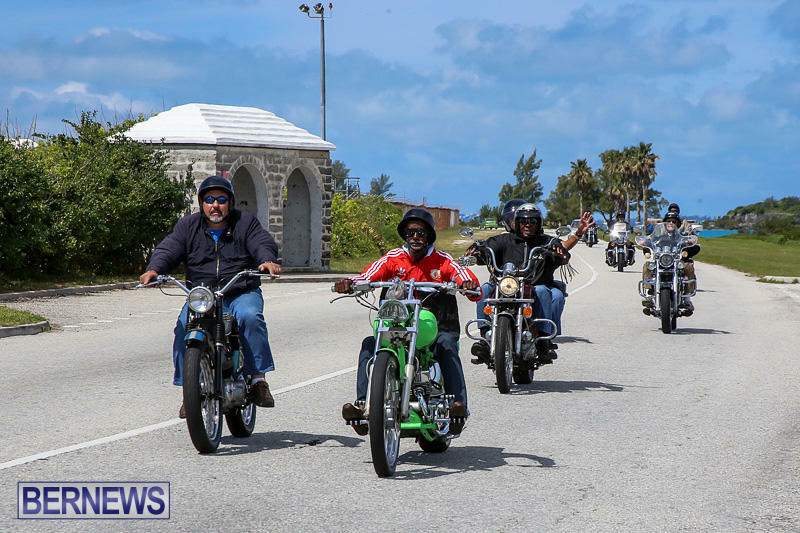 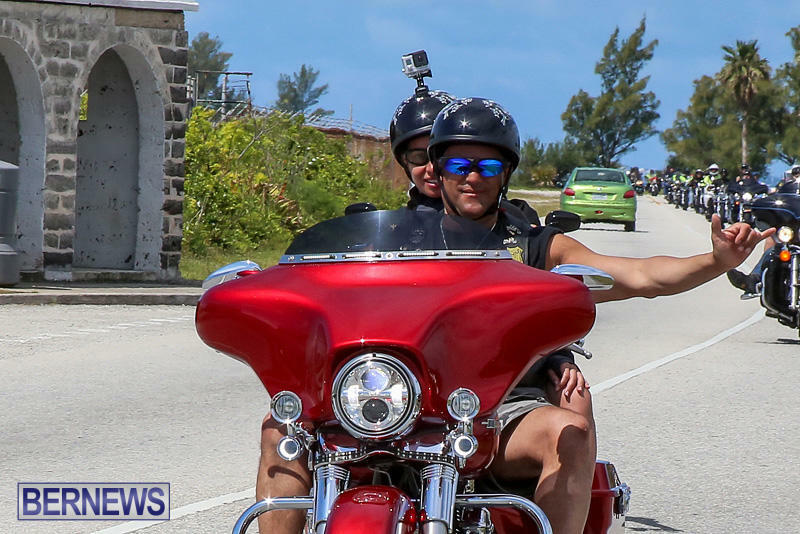 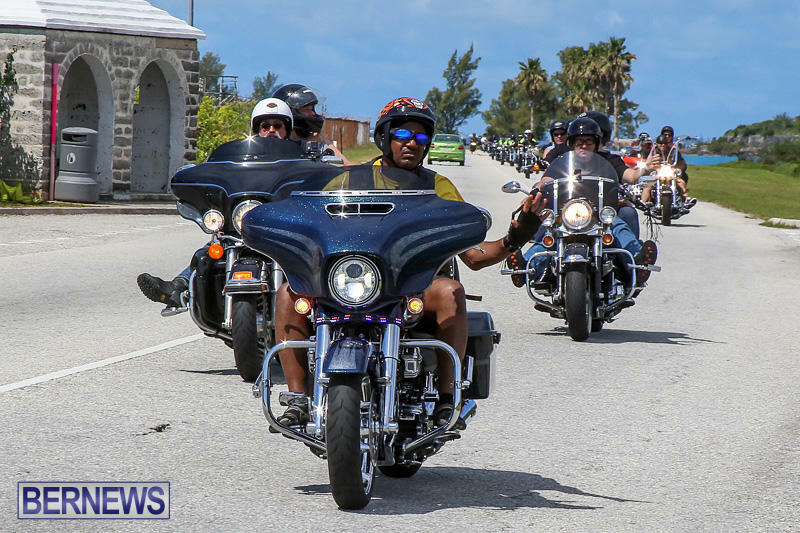 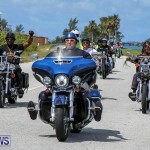 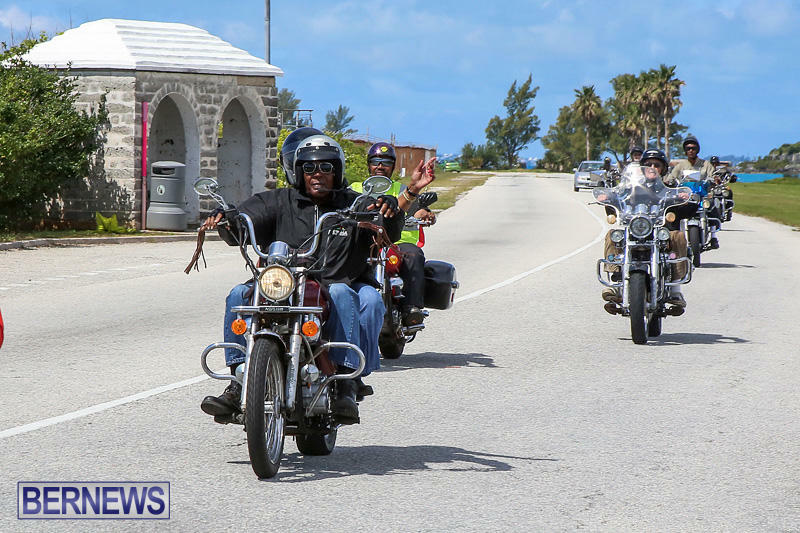 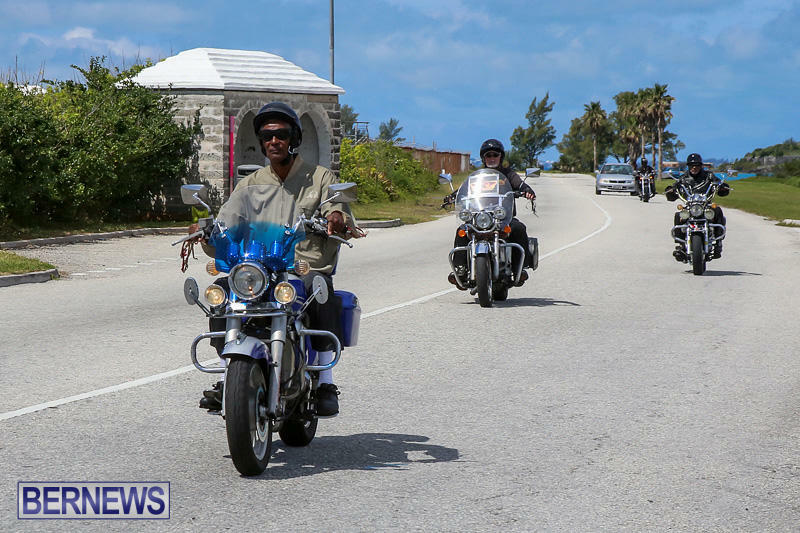 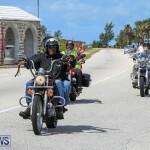 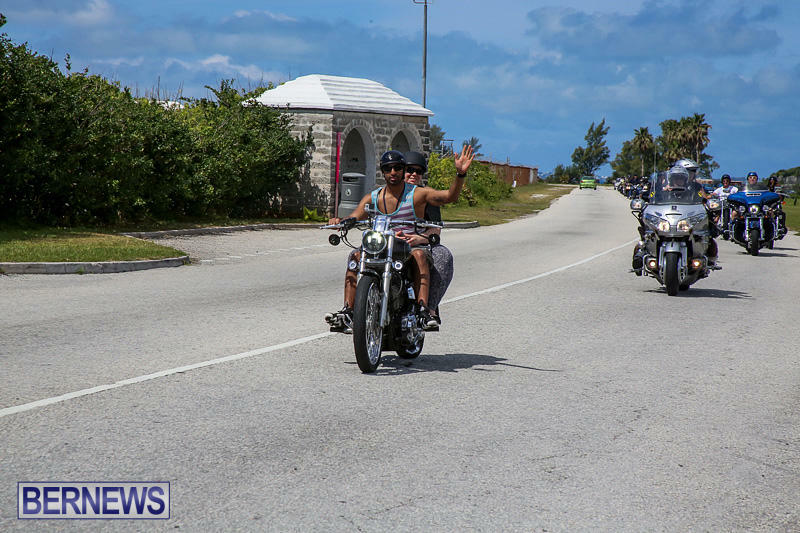 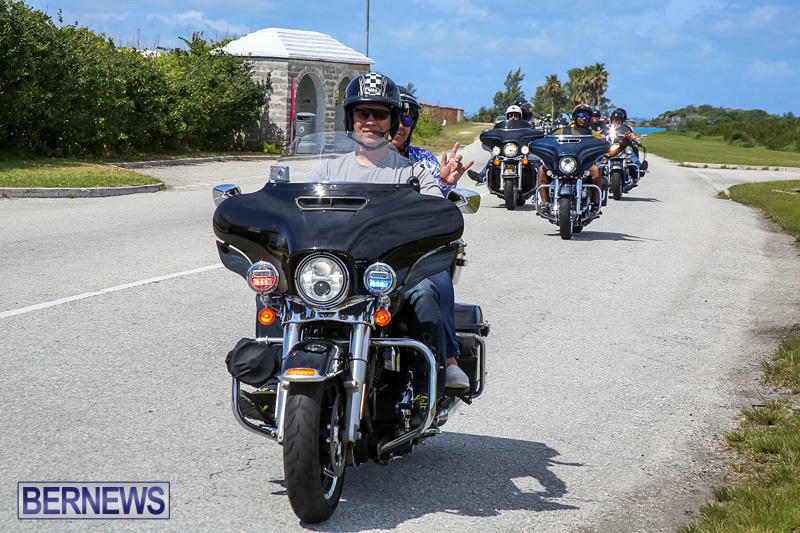 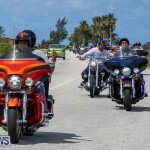 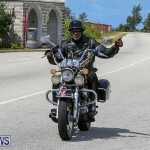 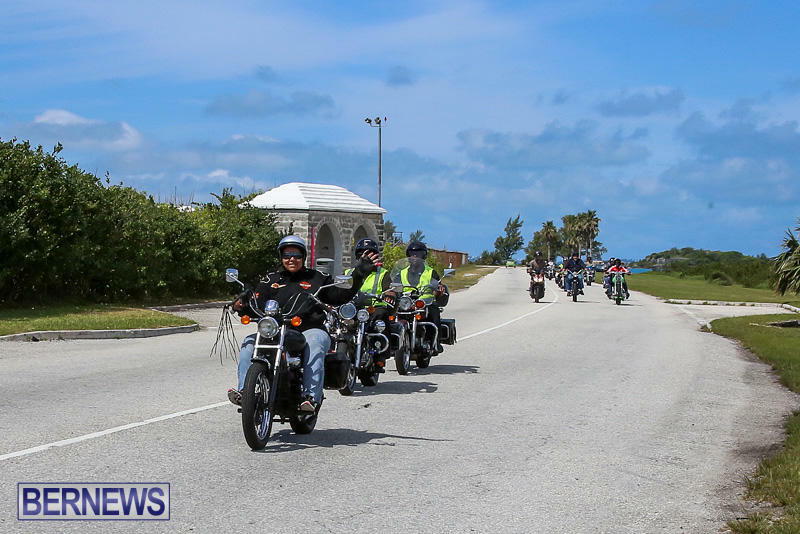 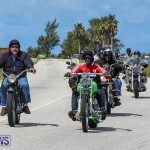 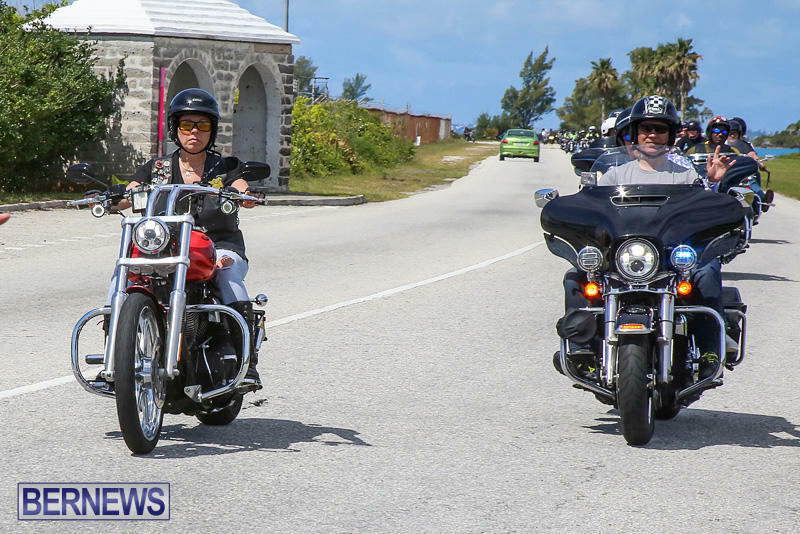 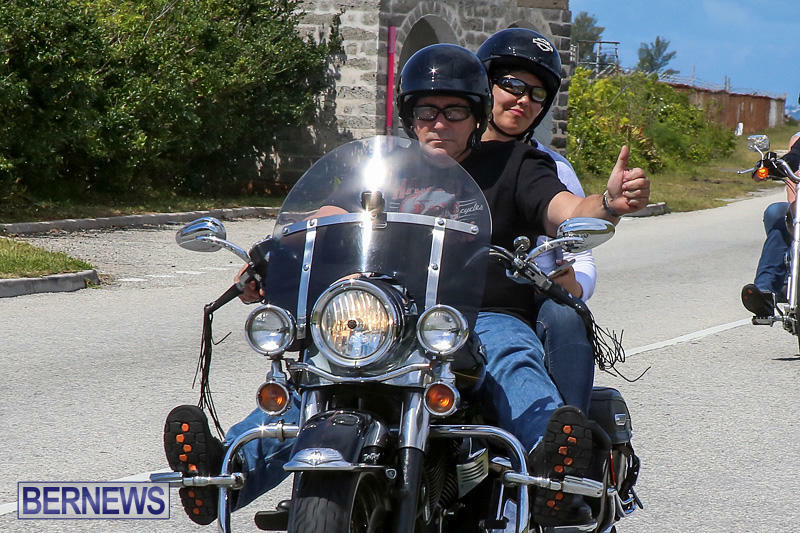 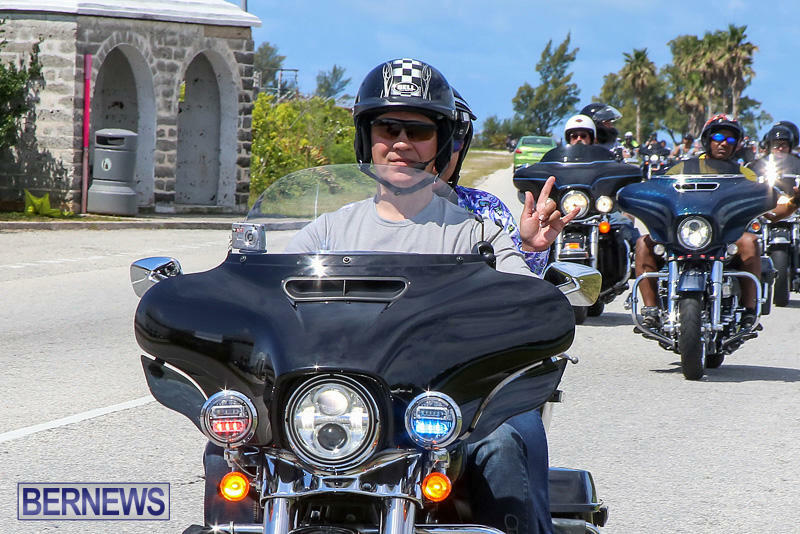 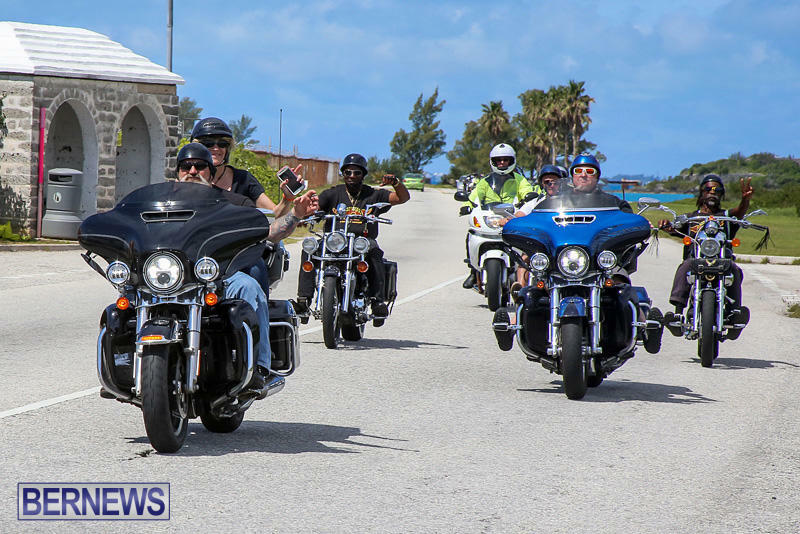 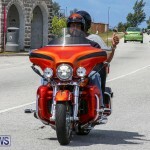 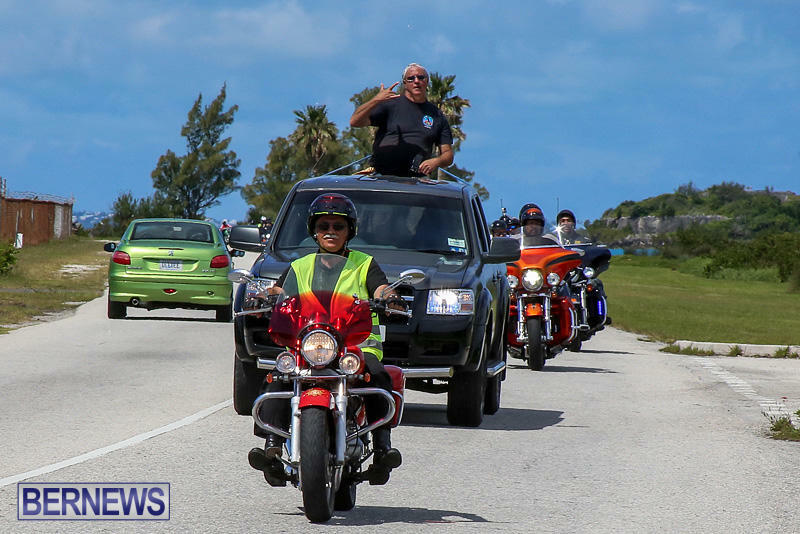 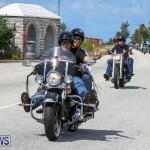 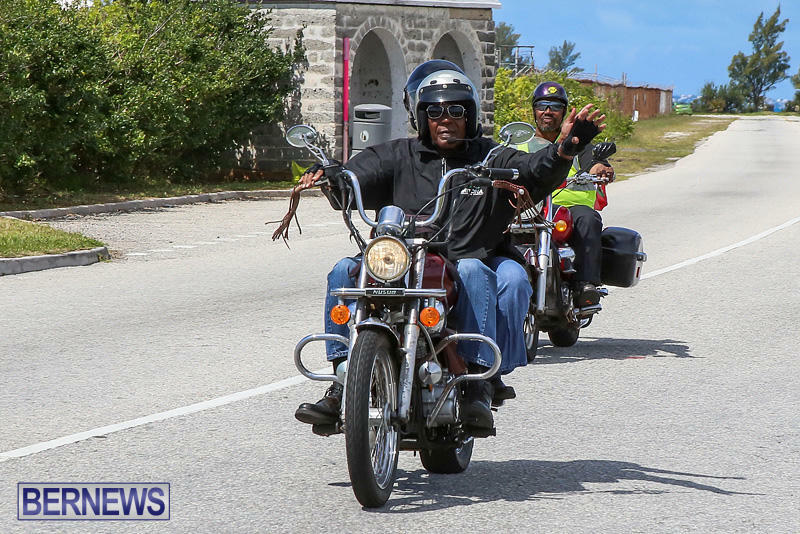 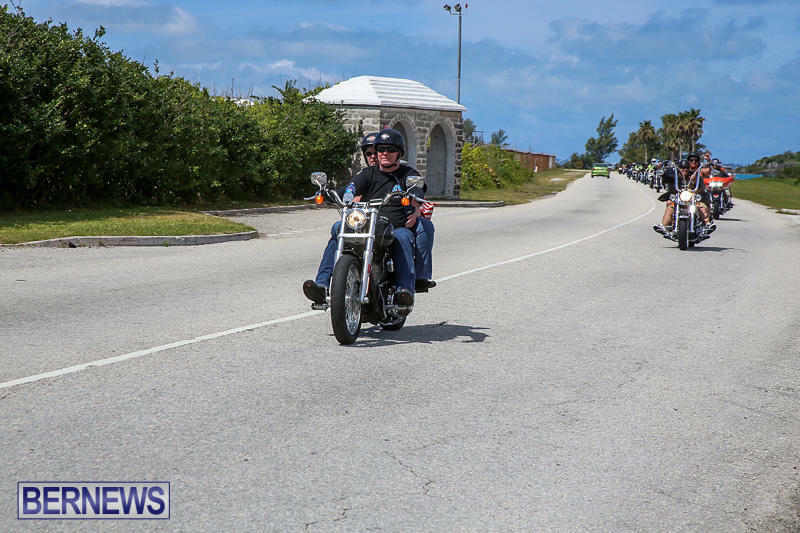 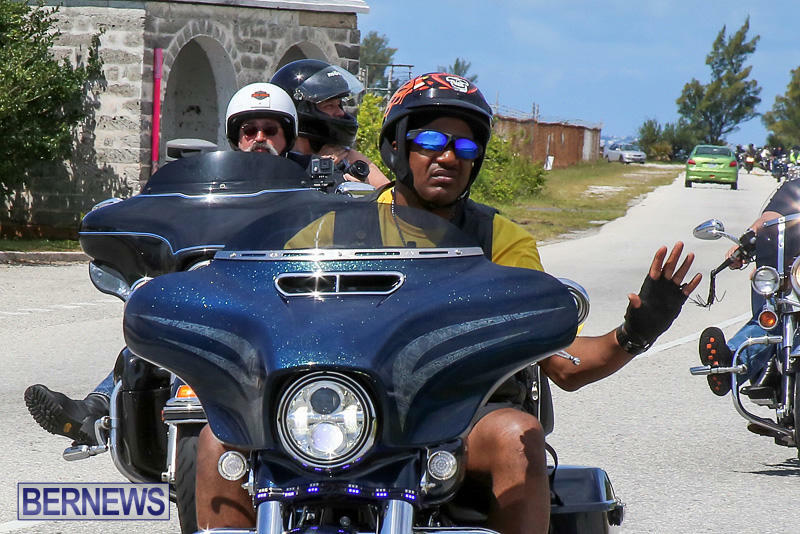 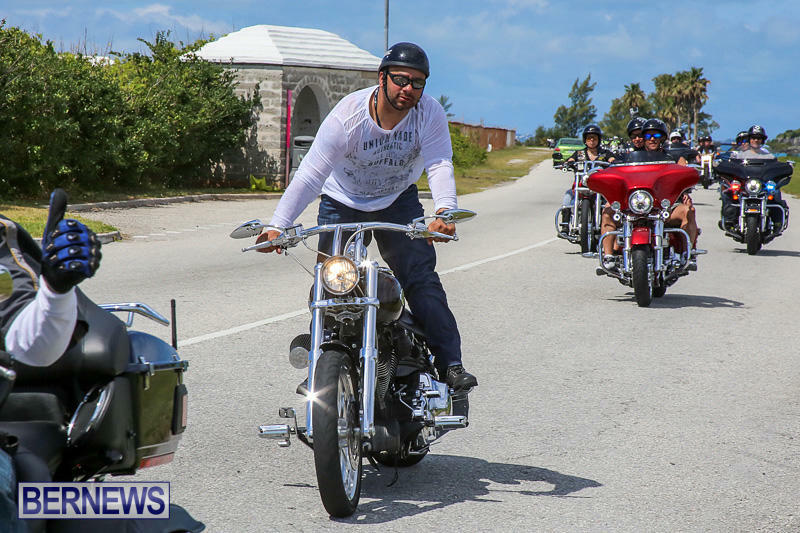 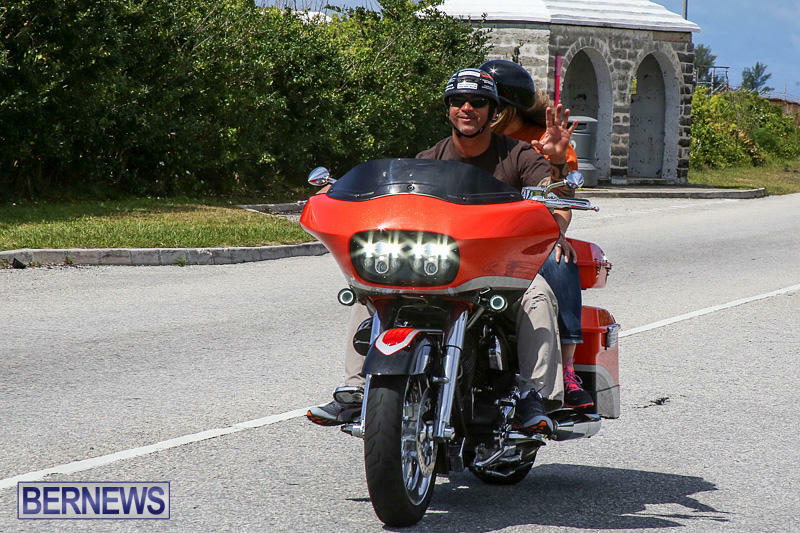 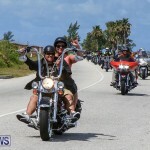 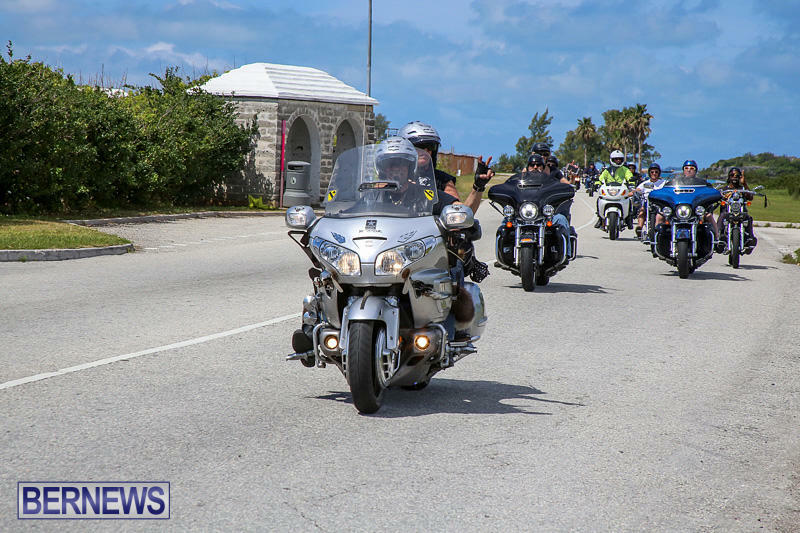 The Bermuda Long Riders Motorcycle Club and Association [BLRMCA] hosted the ride today with members from ETA Motorcycle Cruises arriving on the Celebrity Summit cruise ship this morning joining the local riders on a tour ride across the island. 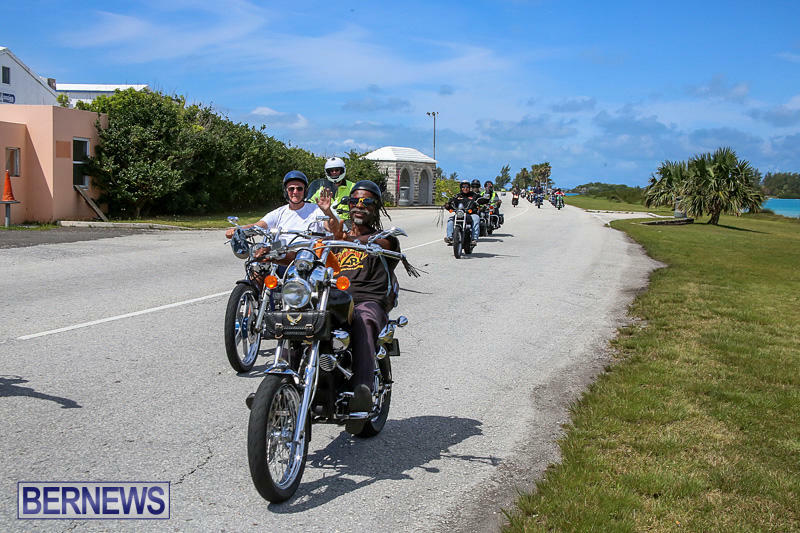 After fueling up their cycles at RUBiS Boaz Island, the contingent of large motorcycles made their way to the east end with stops along the way. 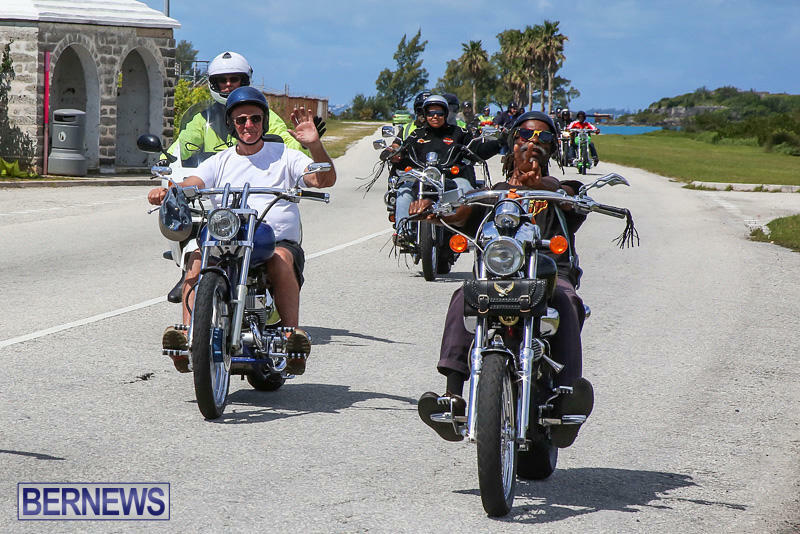 They were met in the Square by Corporation Councillor Donnie McLaughlin before watching the dunking of the wench with some visiting members taking part in the re-enactment. 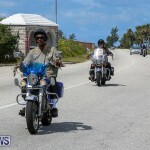 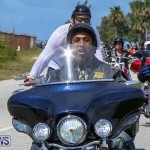 The group then made their way to Gombeys Restaurant at Clearwater Beach for lunch. 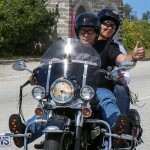 Tomorrow [May 12], the bikes will take off once again and head to City Hall in Hamilton, where the visiting group will spend a few hours shopping in the city. 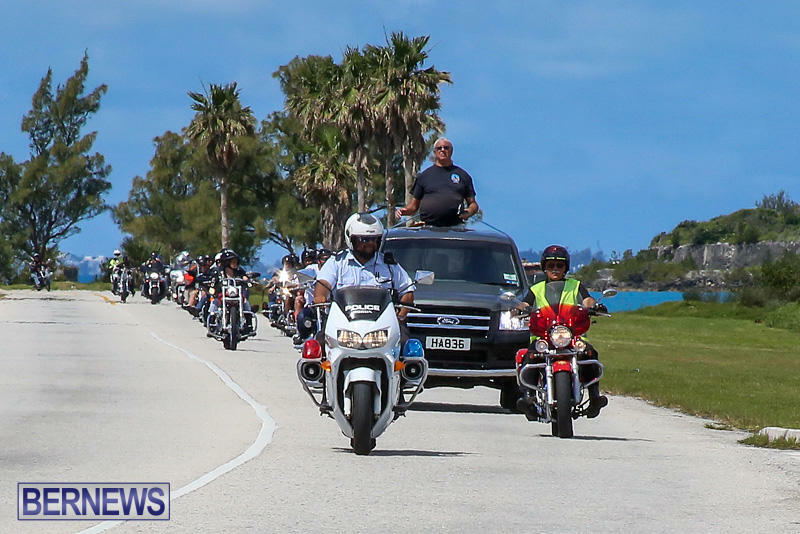 The bikes will be parked at City Hall for those interested in having a closer look and are expected to arrive between 10.00am and 11.00am. 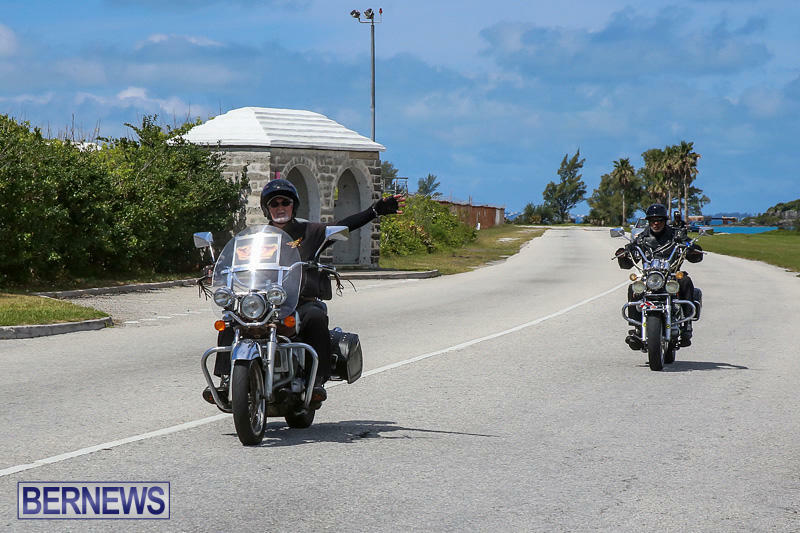 A recent post on the group’s Facebook page said, “I’ve been coming to the wonderful island of Bermuda since 1971 as a former Cruise Director for Home Lines and Staff on Holland America and Chandris (now Celebrity) and have seen incredible changes over the years. 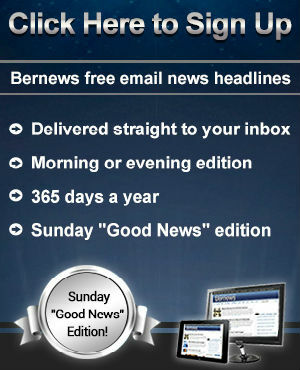 “The one thing that has never changed are the people of Bermuda. 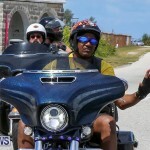 They are still filled with generosity, friendliness, care and straight out warmness and that is why as the song goes…. 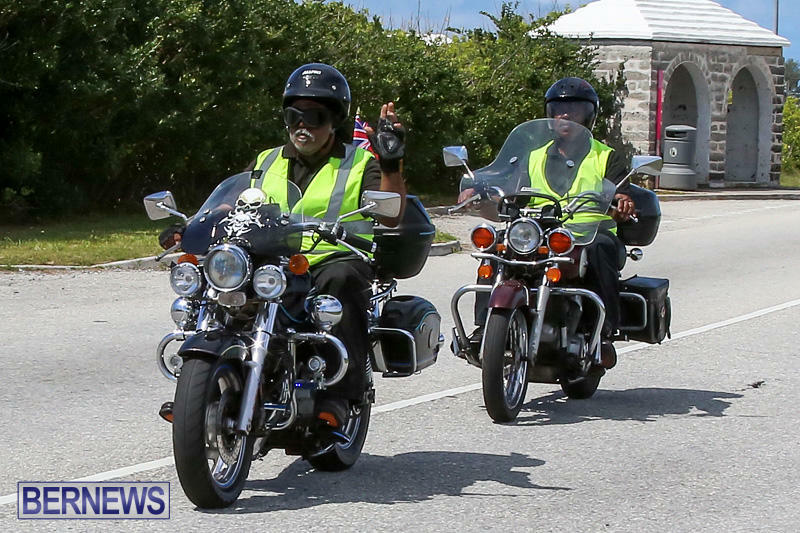 ‘Bermuda is Another World’. 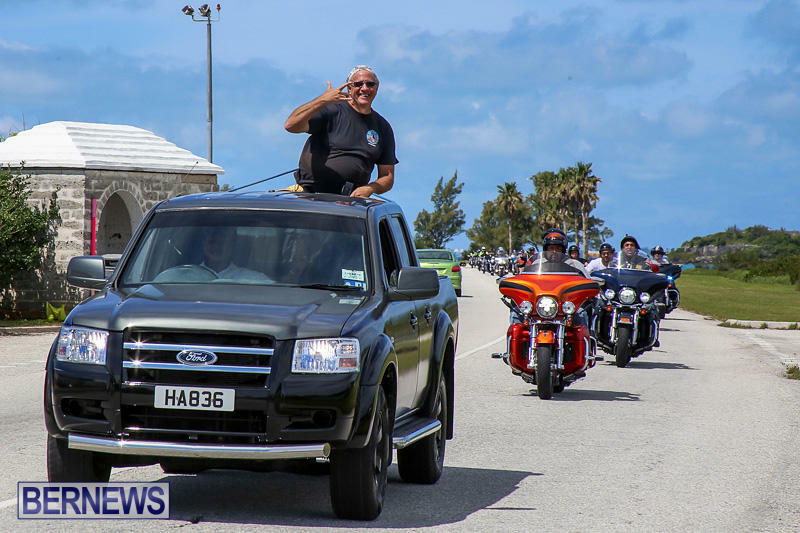 “On behalf of ETA Motorcycle Cruises and our great guests, I thank you for welcoming us as we now celebrate our 10th year! 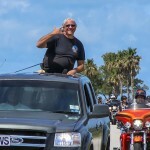 Pure awesome watching them drive by, and hearing them coming!